For months now, John Huppenthal has been commenting here in his own name. At first, it was noteworthy. No longer. Now, he’s just a fallen, disgraced politician. Instead of taking a hard look in the mirror and taking the steps needed to rebuild his reputation, he’s chosen to wallow in the very same conduct that exposed him for what he is, with the only exception being the removal of the alias that concealed his identity (well, sort of). What Anthony Weiner is to sexting, John Huppenthal is to blog trolling. I’ve engaged a few times with “the real John Huppenthal” in the comment thread. But no longer. I preferred Thucky. Thucky was a useful idiot. The fact that I knew his real identity and readers generally did not was just icing on the cake. For six months, I wasn’t even aware who he was, but used him as a foil nonetheless. When Thucky was just “some troll” to readers, his anonymity protected me and other writers as much as it protected him. Just as one writing under a pseudonym is less filtered in his remarks, those responding to an anonymous writer have license to be less filtered as well. Then there was the taunting he authorized by referring to himself in the third person. I asked this question in the comment section perhaps a dozen times: “Is it dishonest, using a pseudonym, to refer to yourself in the third person, leaving the false impression that you are not the person to whom you refer?” The question obviously answers itself. Of course it’s dishonest. What amazed me was that he kept on commenting. Here I was, saying in no uncertain terms to the holder of one of the highest elected offices in the state “you’re categorically dishonest and I know who you really are” and, oblivious to the law of holes, he just kept digging. Best of all was the opportunity was to take Thucky’s comments and elevate them into new posts for the purpose of tearing right-wing philosophy apart. In that respect, Thucky was truly a useful idiot. But Huppenthal posting under his own name is none of that. Now, he’s like a crazy person screaming conspiracy theories on the street corner who smells from having urinated on himself. To me, it makes no more sense to engage with him than it would to converse with the guy on the corner. Certainly, I have compassion for that guy on the corner. It’s hard to muster up the same compassion for Huppenthal, but whatever compassion I can find says it doesn’t help him to engage. If you need an illustration, check out his comment to BlueMeanie’s recent post, Who are the Trump voters? Got that millennials? You’re all morons. Ironically, I’m different from some of my colleagues here in that I welcome the comments from conservatives. When it’s not mean-spirited, I enjoy the debate. I respect John Kavanagh for commenting here. I’ve noticed that Steve is one of the few commenters, right or left, who can acknowledge having had something wrong. But with John Kavanagh or Steve, I can engage without being sharp-tongued and feel productive in doing so. And there’s enough mutual respect, I hope, that an occasional lapse of courtesy will be ignored. I can’t get there with Huppenthal. When “Thucky” called me a moron, it somehow was funny. When Huppenthal does so, while at the same time explaining how it was he who was wronged back in 2014, it’s offensive, pathetic and outrageous all rolled into one. So, I’ve promised myself (and my wife) that I’m done. Well, well well, Mr. Thucydides. You begin by calling me a moron. Then you decide to go all classy on me and throw out some lofty statistics. Then you go back to whining and name calling. Pricks and self righteous pretentious liberal morons. My oh my. My fault though. I said I could take the sting. And I can. Let me pass on some advice from my very favorite right wing blogger, Mr. Espresso without the Crema Patterson: Man up. Stop whining. Stay classy. I did not ask you to defend someone else’s comments. I asked you to defend your own. You posted, as Thucydides, on the espressopunit blog that Russell Pearce was correct in his assertion that “half the murders in Phoenix are committed by illegal aliens.” You said I should apologize to Mr. Pearce. It’s your own comment Thucky. I asked for you evidence to support it. There is none. Your lofty statistics are cherry picked. They do not support Mr. Pearce’s false, racist claim that illegal immigrants are responsible for half the murders in Phoenix. Let’s cherry pick some other statistics, shall we? If you’d like to compare crime stats from 2007 and 2014, using FBI data, then hey I think that’s one fine idea. Let’s do it. Except let’s do it in states where there are very few Hispanics and very very few illegal immigrants. You’re claiming that illegal immigrants are responsible for huge amounts of crime. You claim the statistics you’ve cited are “in a different galaxy” than national statistics. You are wrong. If we examine several states with very small Hispanic populations and tiny or even minuscule presence of undocumented workers, what kinds of stats do we come up with? Murders both states 2007: 27 Both states 2014: 22. Down 18 percent. Auto thefts Vermont 2007: 641 Auto thefts Vermont 2014: 244. Down 57 percent. My goodness Mr. Thucydides. These look an awful lot like the numbers you’ve cited as proof of Mr. Pearce’s false claim. Can you man ’splain to me how crime stats went down in such big numbers in places where there are very tiny numbers of illegal immigrants? Umm, perhaps it’s a part of national trend of falling crime rates? Oh God no, it can’t be that. That would just be too, ummm, well, obvious. Perhaps a better approach would be to zoom the lens out, look at a much bigger picture, and stop cherry picking individual data points from two years. Let’s look at the statistics for violent crime in the entire USA over the last century. Big picture, Thucky, the big big picture. And you know what it looks like? Over the last century there has been two huge upward spikes in violent crime in America, and one deep valley. The big up spikes were both fueled by gang related gun violence: the gangster era during Prohibition in the 1920s and the crack cocaine driven gun violence in the late 1980s and early 1990s. The deep valley, of course, was World War II and the decade of the 1940s. And the past quarter century? Since the gradual end of the crack cocaine gun violence, millions of undocumented immigrants have entered our country. Estimates range from 12 million to much higher. And crime? Down. Down. Down. And it just keeps going down. Source? The FBI of course, Thucky, the FBI. If illegal immigrants are responsible for huge amounts of crime in our country, then our national statistics ought to reflect that. Instead, they show a quarter of a century of steadily falling crime rates, all across our country, even as millions of people entered our country illegally and millions of them continue to live and work here. That stats are little different, over the entire time period, in states with large numbers of undocumented immigrants and states with very small numbers of undocumented immigrants. 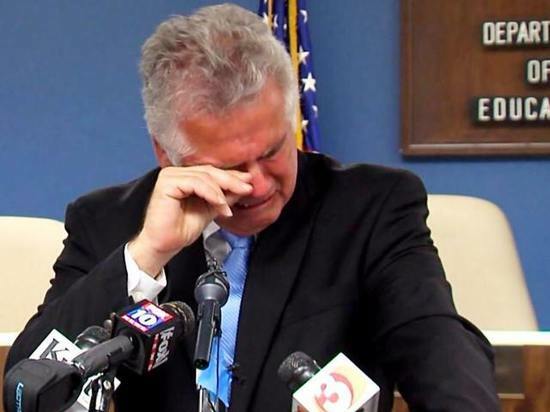 If you want an excuse for your racism, Mr. Huppenthal, crime statistics will not do. Man up. Stay classy. And above all stop whining. Falcon9 has gone into hiding, we’ve seen this before. He doesn’t do well when confronted with logic and facts. He’ll say, and rightly so, that he did come back and finish the interview, but the moment is telling all the same. I think he must like you Robert! I’d love to ask Mr. Thucydides “Thucky” Huppenthal to elaborate on his claim of bringing evidence and logic to the marketplace, as well as his denial of racism. The evidence to back that one up, please, Mr. Huppenthal? All these years later I’m still waiting for it. Mr. Pearce went on national television and fanned the flames of racial hatred with a false claim. There’s no evidence to support his claim. Pearce is a bigot who likes making stuff up–like the fake candidate he tried to run in his recall election and the fake “Teacher’s Association” (sic) he deployed in his failed attempt to win his seat back. Deliberately lying to smear a group of people and incite hatred is both despicable and racist. Your response, Thucydides, was that Mr. Pearce’s claim was correct and that I should apologize to him. I can take the sting. I just want the evidence Mr. Huppenthal. Bizarre. The league of morons rolls on. I am supposed to defend someone else’s comments? Russell can stand on his own and defend his statistics. These staggering numbers are in a different galaxy than national numbers. They can only be explained by illegal immigration. But, with me you get complexity. Unlike you morons, I have a brain. The numbers are incredible and prove two things. 1) Some illegal immigrants were committing an extraordinary amount of crime. This crime and reduction happened overwhelmingly in high minority census codes. 2) You can bring crime down below national levels despite having high levels of illegal immigration. We still have about 13% of our population as illegal immigrants, about 850,000 illegal immigrants. Yet our crime rates are now at national levels. You racist self righteous pretentious liberals don’t care even slightly about the families that had to live with this scourge. As a result, the tools we were able to use to protect these families have been taken away. These are the neighborhoods I grew up in. These are my black and brown brothers and sisters. 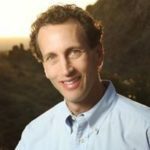 I have driven into south phoenix every week day for the last year and a half to tutor students and give them the chance that I have. What have you pricks done besides work relentlessly for policies that destroy opportunity? This BS post by a blog operator who betrayed the confidentiality of posting and in so doing hurt a lot of innocent people – liberals and did a lot of damage to the education system, a lot of damage. You can’t even take any sadistic pleasure of hurting me. I am fine, the change turned out to be a huge blessing in disguise. I got remarried to my wife, hiked 60 mountains in Maricopa county, lost 23 pounds, visited my daughters and am working on an amazing project that you all will be hearing a lot about, a lot. How many posts did I have about myself during that time? As a percent of my total posts? Infinitesimal. I love thinking and talking about public policy. That’s why I post. Also, I know that Karl Marx only sold 3,000 copies of the Communist Manifesto in Russia and 40 million people died because 3,000 morons believed him. You are trying to spin the fiction that I posted to advance myself politically. Unlike the operator of this blog I was 12 wins and zero losses politically. Never a close one. I seldom post on politics or foreign policy. I comment on economics, crime, illegal immigration and education. Well now, along with your sock-puppetry on the public dime and racist comments, you’ve committed the internet’s only fatal sin…. I always bring evidence and logic to the marketplace. The problem you have is that you cant take the sting. You say that i am a racist when not single comment has ever been racist. When i respond in the coin of this relm, the sneer, i bring evidence that you dont know what you are writing about. The true sneer, the effective sneer requires intellectual altitude. Only Blue and Linda have achieved anything worth talking about. Look at how you treat Senator Kavanaugh when he comments. Unlike me, he is always the gracious gentleman. As for me being disgraced, how did all those falsehoods work out for you? A complete sweep of all statewide offices. Not a single democrat elected. After listening to John Kavanaugh bobbing, weaving, and misdirecting on the subject of private prisons on Diane Rehm today, its hard to have any sympathy for him. For example, those thousands, of dollars in campaign contributions from the private prison Industries to John and Ducey have had absolutely no effect on their policy decision making, I guess because Obama takes contributions from various interest groups, according to John. Of course John did not mention the fact his legislature prohibited any cost comparisons between private prisons and State prisons. He also did not mention Duceys conversion of the Kingman prison to a State prison and how this had a huge impact on the local governments tax receipts including local school districts. So John, private prisons are so great we dont know and dont want to know if “the private sector ALWAYS does it better.” The gospel according to John H and John K.
I heard the interview, too. Kavanagh scrambling to explain corruption and failure. He said we’re going to expand our use of private prisons in Arizona. So he’s planning on more crime. Nice. Our leaders should be about preventing crime, not expanding prisons. He basically admitted the whole thing is a scam. Rather than write a big column on why he is an assh@*e, which he truly is, thus feeding his enormous ego, why not just ban him and be done with it? Readers will be happy not to have his trolling interfering with good discussions. Life is too short. Reasonable minds can differ here, TS, but I think we have to reserve banning for those who post comments that are truly incendiary or who are spamming us. I personally won’t read his comments and would be delighted if he stopped commenting, but I don’t want to make value judgments as to whether some readers might benefit in some way from his comments. Don’t confuse ego with insecurity and a need for attention. Little Johnny likes to tell everyone how many books he’s read and how smart he is, and how dumb everyone else is. That’s an insecure little man. Confident men with healthy egos don’t end up on televised crying jags because they don’t do stupid things. Falcon9 can memorize things, but lacks the inability to do critical thinking, he doesn’t understand what the stats and numbers mean, leading to mixing issues and incoherent rants. This makes him angry, so he blames others for all his problems. See his twisted logic here, claiming that his loss to Diane Douglass was caused by Bob Lord and that’s why we have no Dems in statewide office. That’s a long drive to crazy land right there. And his low self esteem also explains his racism. Racists want to feel superior to others to compensate for their own shortcomings. And that’s where I have an issue with the guy. I hold racists in the same esteem as pedophiles. Both cause damage to other people for their own selfish, sick reasons, and it’s important to make sure that people like Master of Sockpuppets Huppenthal are never taken seriously, are mocked relentlessly, and never, ever get into public office again. it is not what you ;but what you can do with what you know.